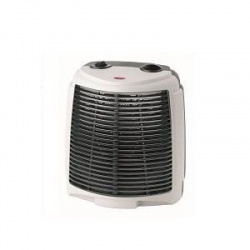 The Akai 1200W Grey Halogen Heater has three heat settings as well as a safety tip-over switch. The heater also has a wide angle oscillating and is silent running. It also contains a BS plug. A compact, easily portable and simple to use heating solution. Provides a powerful 3kW output. With an integral carry handle it’s easy to move from room to room too for versatile use around the home; it's well suited to small and medium sized rooms. 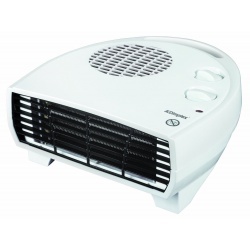 The 3kW fan heater includes a thermostat with a choice of settings so that you can vary your environment according to your activity. The easily accessible top mounted controls are for on/off and thermostat temperature control, which ensures the fan switches off automatically when your temperature is reached to save energy. 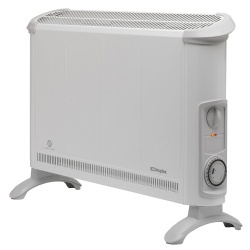 The unit can be set to output cooler air only, this can be useful to circulate room air in the summer months. 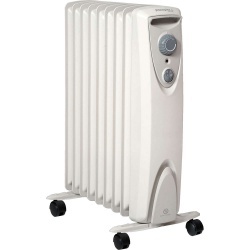 This portable oil filled radiator is the perfect solution to warm up a home, workshop or office. It is highly portable and easy to operate. You can set the temperature you would like and then let the radiator do its job, it will control the room temperature automatically. This is ideal as a low cost heat source for lounges, bedrooms and conservatories. Noiseless operation, Portable with Thermostat control and lightweight, easily moved from room to room to keep the cold away. Banish chills around the home, office, workshop or study with the highly portable and incredibly efficient 2000W Oil Filled Radiator from Pifco. Featuring 3 power output settings (800W / 1200W / 2000W) and an adjustable thermostat, this useful appliance caters for any heating eventuality. It's environmentally friendly too thanks to the energy efficient conduction oil contained within. An overheat protection system is included for safety during use and in-built castors make it extremely portable. The Daewoo HEA1128 is a free standing, electric stove effect heater, is perfect for adding heat to your room whilst also giving the illusion of having a real fire. With dual heat settings, thermostat control and over heat protection it is also energy efficient. It also comes with adjustable real flame effect for that added warm glow. This free standing, electric stove effect heater, is perfect for adding heat to your room whilst also giving the illusion of having a real fire. With dual heat settings, thermostat control and over heat protection it is also energy efficient. It also comes with adjustable real flame effect for that added warm glow. 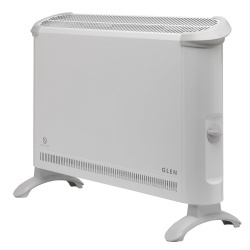 The Akai Mobile Gas Heater with Irish Jumbo Regulator has three ceramic plates and three power settings. It also offers a Piezo-Electric ignition mode and a flame failure protection device. The unit is easily movable and has space for a gas cylinder weighing up to 15kg. It also has an anti-tilt device and an oxygen depletion sensor.